Founded in 1999, Questrade is a Canadian online broker that boast with more than $5 billion in AUM as of 2017. Although their services are only available for residents of Canada, Questrade is still a popular choice for many. As far as the fees go, they charge equity traders $.01 per share. However, the minimum per trade is $4.95, while the maximum is $9.95. Only Canadian citizens can use Questrade services, but they do get to trade US-based securities. In addition, there is a variety of financial instruments that Questrade supports. Among them are stocks, mutual funds, ETFs, bonds, and even forex and contracts for difference. As far as the accounts go, they offer several options: traditional margin, retirement, and even managed accounts. You can choose one of two pricing plans that Questrade offers. 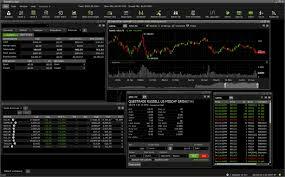 They are available for trading stocks, options, and ETFs. There is the Democratic Pricing plan, which is a default, and Questrade Advantage – meant for active traders. Democratic Pricing charges you $.01 per share, while the Advantage program is $.1 per share. However, the active trader plan means that you also have to subscribe to one market data offering. Furthermore, you would have to choose between the Variable of Fixed-rate pricing plan. Nevertheless, most investors choose the standard option because it is fair and they know where their money is going. In addition, it is also capped for general stock trades. However, discounts are available when you give more on commissions, and it makes no sense picking out the Advantage plan if you are not spending at least $100 regularly. The good news is that Questrade does not charge you an annual fee. 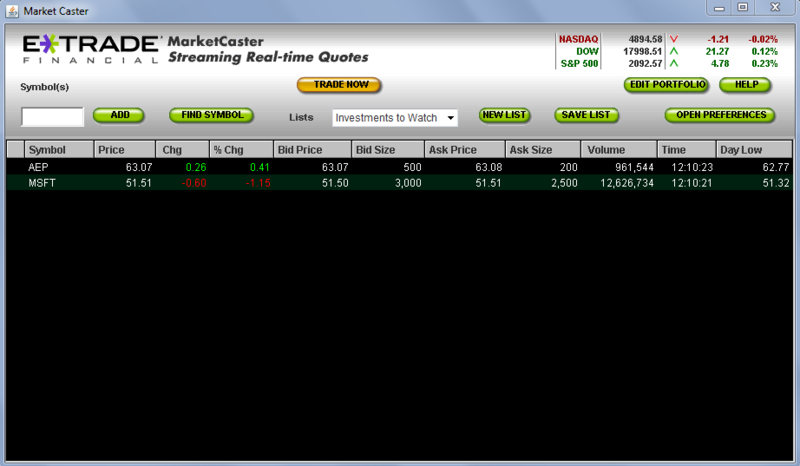 However, if you fail to make a trade during one quarter, it may cost you $24.95 due to inactivity. 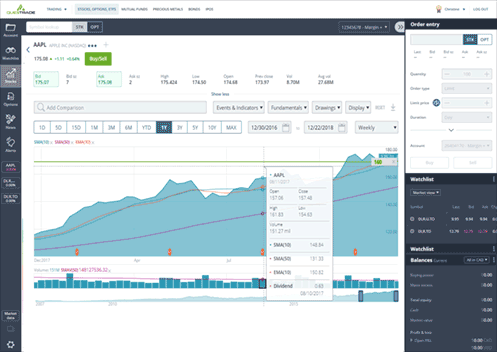 This is a browser-based platform which you can use to customize streaming watch lists and stock charts, and get quotes and news about trading. However, we were particularly impressed with IQ Web because it was so easy to use. There were no bugs, and the navigation is clean and without any hiccups. Overall, it was impressive, and it offers the basics to any trader out there. Still, there are some minor flaws, like the inability to save chart settings to your profile. Also, the platform does not support the use of HLC bars. Questrade also offers a desktop platform which is a perfect option for advanced investors. Not only does it have more features, but there are far more customization options and adjustments. This platform also performs well and without any bugs. Furthermore, it allows the investors to use a few shortcuts – hotkeys and default order values. They can even skip the order confirmation window. Questrade also has an app which you can get on iTunes and in the Google Android Store. However, its rating is about two stars, depending on the store. Does it offer valuable research options? When you make your account with Questrade, you can log into their website as a customer and visit their Market Research Center. There, you will find two fantastic research tools called Market Intelligence and Intraday Trader. 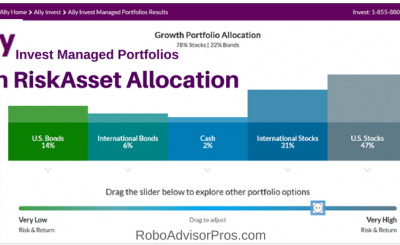 If you want to get access to a thorough analysis of equities and ETFs, then this tool is the right one for you. 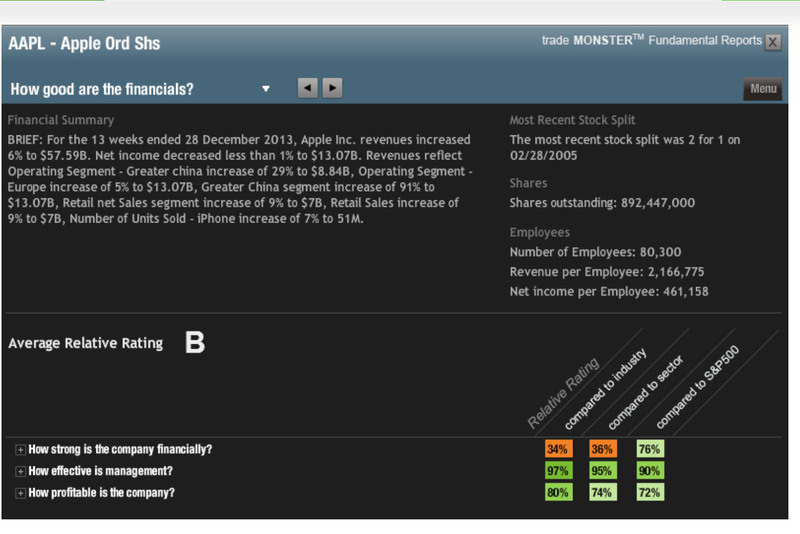 Powered by Morningstar, it allows you to read high-quality reports, and to search for new ideas and trades. In addition, if you want to know more about mutual funds, you can use the Mutual Fund Center. 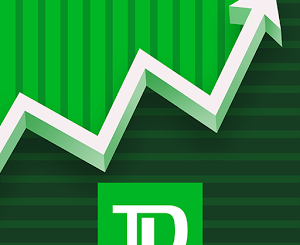 This tool concentrates on Canadian funds exclusively. However, if you are interested in US mutual funds, you can go directly to Morningstar. Questrade also developed a tool which helps you generate new trade ideas. 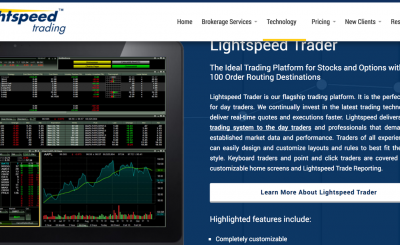 Intraday Trader is a high-quality automated program that uses special algorithms to give you trading options. It is needless to say that we were more than impressed with the tools that Questrade offers. The thorough analysis and the ability to do in-depth research would help even traders that have been in the business for some time now. After finding a way to appeal to both active and beginner traders, it is no wonder that Questrade enjoys its popularity. Not only can their clients get valuable information from their website tools, but their platforms also work impeccably with just a few minor flaws. Therefore, this is a strong recommendation for Canadian residents who are looking for their perfect online broker.